While Apple and Samsung tablets dominate the tablet market, LG has put forth a number of competitive tablets to give those dominators quite a scare. Because LG’s tablet lines offer customers top-quality features for lower prices, customers have been quick to flock to their side. In fact, LG has continued to release tablets in line with technology’s current trends from their initial Optimus line to the newest G Pad line. With so many tablets on the market today, it can be difficult to determine the right one for you. 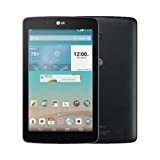 However, whether you want an LG tablet because of budgetary reasons or just because you’re an LG devotee, this list has a number of the best LG tablets available. 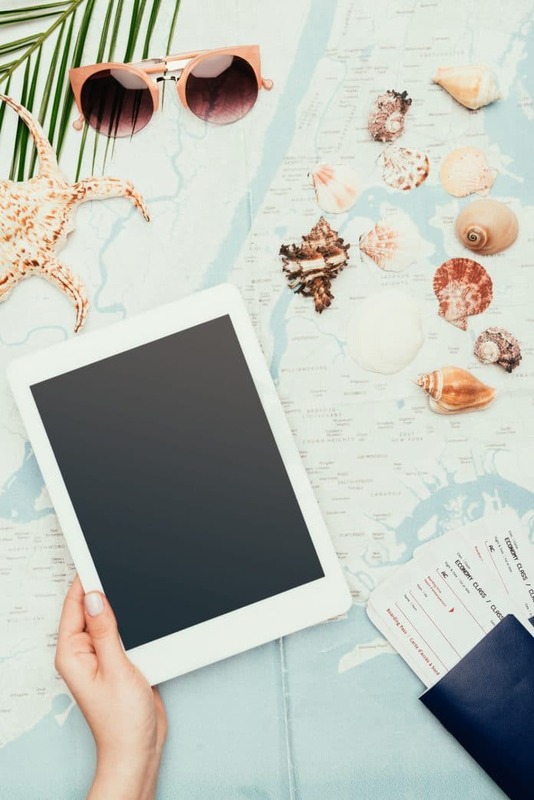 Before getting to the list proper, there are a few things to know about tablets that can make your decision easier, and your purchase more in line with your current needs. Buying a tablet may seem like a straightforward process, but it’s important to assess why you’re buying one. 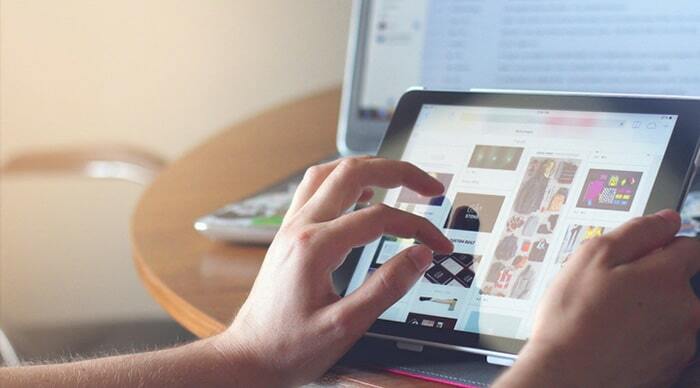 The main reason for purchasing a tablet is for browsing the internet, reading, and watching videos. Tablets are portable, and you can take them anywhere, turning a boring doctor’s office into a magical adventure. While you can enjoy these activities on a computer or laptop, you won’t get the same ease of transport that a tablet offers. However, laptops may be preferable if you have to do a lot of typing for work, or if your job requires specific spreadsheet applications or word processing software. If you’re looking for a machine to use while you relax, then a new tablet can be a great choice. Another defining aspect of tablets is their touchscreen displays. Instead of pointing and clicking with a mouse, as you would on a computer, you can use your fingers to click, move, drag, flip, and twist different parts of your tablet. Opening a new browser is just a flick of the wrist, while adjusting the size of a photo is a simple two finger operation. Many people are used to touchscreens thanks to the rise and prevalence of smart phones, and a tablet takes those touchscreen capabilities to the next level. Some younger users may even prefer a keyboard on the touchscreen, as they have grown up with that style of technology. A touchscreen also makes for an amazing pairing with a stylus, whether you prefer it for clicking or as a tool for drawing. 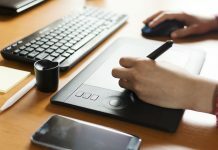 Drawing applications on a tablet can be light-years ahead of their computer counterparts. In fact, many of the tablets on this list come with a stylus included. Slate Tablets: These are the most popular, run-of-the-mill tablet. Slate tablets are perfect for browsing the net and entertainment. Flat and lacking a keyboard, nearly all the tablets on this list fit into the slate category. They can run from 7 to 18 inches, though the average is about 10. Mini Tablets: These are basically similar, tinier versions of the slate tablet, but their screens are much smaller. What’s great about mini tablets is that they are designed to fit in a single hand, which can be great for reading or browsing the internet. Usually, their screens are around 7 inches or smaller, which can make movies look a bit odd, but fit YouTube videos well. Hybrid Tablets: These are like slate tablets with a keyboard that comes attached. Generally, you can swivel the keyboard to the back of the device if you just want to view the screen without typing anything. Convertible Tablets: These tablets are like hybrid tablets except that the keyboard can be attached and unattached. These are a better fit for individuals who want a tablet to use for both entertainment and work since the keyboard allows for relatively easy typing. Once you understand which tablet is right for you, take a look at the best LG tablets on the market today. 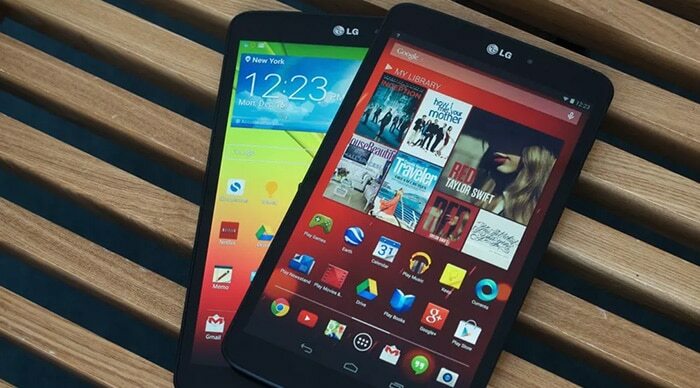 As people have asked for smaller, 8-inch tablets, LG responded in kind with the G Pad 8.0 LGV480. 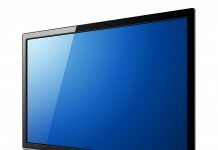 The pad offers a vivid, 800 x 1280-pixel resolution LCD panel to give you smooth visuals for any TV show or movies you want to watch. Additionally, the battery life is one of the best in the entire LG tablet lineup. In fact, LG claims that the LGV480 can last up to two days on a single battery charge. The tablet’s slim design makes it perfect for taking with you on the go, whether in a backpack, purse, or briefcase. The only downsides are a rather low-quality camera and a lack of power. If you’re looking for a tablet for gaming, look elsewhere, as this one lacks the power to get you there. Perfect For: Anyone who wants LG integrated software and high battery life more than a faster tablet. This LG tablet makes our list because it is an excellent starting option for anyone looking for their first foray into tablets. The G Pad 10.1 features some top-notch software which makes the tablet extremely easy to navigate. This allows the tablet to be a boon for both younger and older users alike. Plus, LG’s wonderful multitasking options make this a truly productive tablet. You can split the screen between two different apps, operating both at once. For a work tablet, that can be a huge benefit. The tablet also features a durable battery life. On the downside, it’s screen leaves some room to be desired. Materially, it could use some work as well, as it’s covered in soft-touch plastic rather than the higher end metal casing of most tablets this size. Ultimately, the case causes it to be a bit thicker and heavier as well. Perfect For: Users who want high-quality features at a low price. With a beautiful black plastic design, this is a solid pad that looks great. It’s only about one-third of an inch thick and weighs in at just under 11 ounces which makes it easy to hold and take on the go. Its screen looks clear and beautiful, it operates fast, and the battery can last for up to a day on a single charge. This is a great tablet that you can use for both work and play, and because it doesn’t take up that much space, you won’t even realize you’re carrying it, and you will have more room for other things too. The only downsides with the LGV525 are that you cannot install apps on its SD card, and the camera is not very good. Perfect For: Users looking for a versatile and reliable tablet for games, spreadsheets, and email. This tablet is a sturdily-built device that performs like a charm. The battery lasts for up to 13 hours on a single charge, giving you ample time for watching multimedia of all sorts. With a beautiful resolution, pictures show up crystal clear on this tablet. It’s a bit pricey, but it more than makes up for that in its reliability and use. Again, the only downside with the LGV940N II is that it’s camera is a bit underperforming. But if you’d prefer to watch things rather than film them, this is a great choice for you. Perfect For: Anyone who wants long battery life and uses lots of multimedia, including video, pictures, or music. It’s hard to beat the LGV500 when it comes to power and potential. Thanks to the Snapdragon 600 and its 2GB of RAM, this tablet has enough power to run all kinds of apps and other programs without losing too much battery. Plus, if you want more power or upgrades, it’s extremely easy to install them to your heart’s content. The tablet itself is compact but light, made from a mix of plastic, aluminum, and glass that provides users with the feel of a much more expensive tablet. For one of the best value LG tablets available, check out the LGV500. 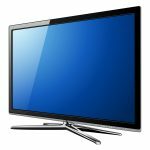 Perfect For: Users who want a stellar display, quality design, and solid performance all at an affordable value. 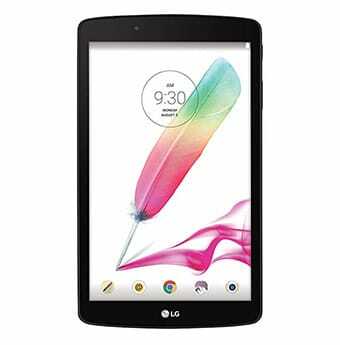 One of the cheapest LG tablets on the market, the LGV495 offers quite a bit even with a small price tag. It comes complete with a full-size USB port, expandable storage, 4G LTE, and cellular connectivity capacities. With an 8-inch, 1280 x 800-pixel screen, you can watch any video or movie you want to. However, don’t expect to get too much done with this little guy. The LGV495 isn’t great for multitasking or for work situations. But if you need the bare minimum requirements for a tablet at a low price, there’s no better deal on the market. Perfect For: Someone on a budget with minimum tablet requirements. This pad is one of the most versatile on the market but lacks some of the audio and visual qualities that other LG tablets have. Built with an easy interface and powerful, quad-core 1.2GHz Qualcomm Snapdragon 400 running on 1GB of RAM, with the LGV496, you’ll be able to get your work done but not much else. This can be a great starter tablet for anyone who isn’t heavily into gaming or watching lots of movies, and it’s 4G connectivity makes it great for taking on long car trips or to a coffee shop. Perfect For: Anyone needing a simple tablet for straightforward tasks. This tablet is the upgraded version of the LGV480, and it provides a wonderful array of new features the old one lacked. These include a full-size USB port, a brand-new stylus function, increased microSD slot support up to 128GB, and cranked up RAM. With free cloud storage up to 100GB, you’ll be able to connect all your work files, photos, and videos without worrying about running out of space. Plus, it offers stellar battery life, so you can keep working or watching shows for hours without charging. Unfortunately, the design hasn’t changed much, which makes it a bit awkward to hold, but for the affordable cost, it’s hardly a deal-breaker. Perfect For: Somebody wanting a reliable but affordable tablet for traveling and simple tasks. The Optimus pad is an oldie but a goodie. Even if it seems a bit heavy compared to other tablets on the market, the Optimus still has one of the best rear cameras in the LG game. In fact, you can even shoot in 3D with it. With up to 32GB of storage and full SIM card support, the Optimus is great for LG fans who want a tablet to store pictures on. However, the pad is awkward to hold, runs slow, and maintains a dismal battery life. Some user complained they ran out of charge after a measly five hours. That being said, if you’re an LG fan who wants to take pictures and keep them on a tablet, the Optimus pad can be a great option for the value. Perfect For: LG devotees who want a tablet with a good rear camera that can perform simple tasks and don’t mind an older model. When choosing a tablet, it’s imperative to always consider your own needs first. What do you use technology primarily to do – work or entertainment? By articulating these needs up front, you have a better chance that you’ll pick the perfect tablet for your needs, giving you an added boost of confidence and a spring in your step. A tablet can make your life more comfortable, fun, and enjoyable, by offering a portable option for watching all your favorite movies and TV shows. Plus, with LG’s stellar equipment, you can power applications, games, or other programs for work to really use your tablet for everything that you need. Happy hunting!